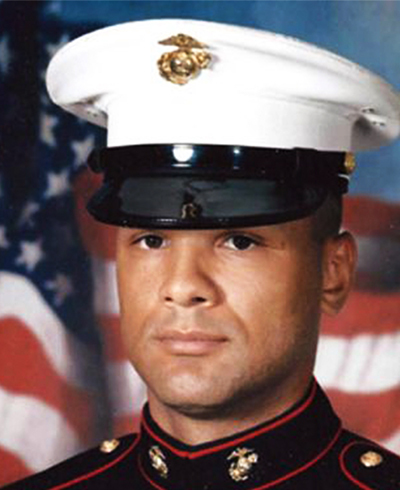 Born in White Plains, NY and a graduate of Ramsey High School, NJ in 1993, Staff Sergeant Eric Christian enlisted in the Marine Corps in May of 2004. He started his career as a Fire Direction Control man with 3rd Battalion, 12th Marine Regiment in Okinawa, Japan, and later made a lateral move to Counterintelligence/Human Intelligence. SSgt. Christian joined MARSOC in May 2012, first assigned to Marine Special Operations Combat Support Battalion, Marine Special Operations Support Group, and later attached to 2nd MSOB. SSgt. Christian deployed in support of both Operations Iraqi Freedom and Enduring Freedom. While deployed in Farah Province, Afghanistan, on May 4, 2013, SSgt. Christian was inside an Afghan Army Battalion headquarters located on an Afghan camp conducting a meeting when an Afghan Army soldier opened fire killing SSgt. Christian and one other Marine. SSgt. Christian’s personal decorations include a Joint Service Achievement Medal, Navy and Marine Corps Achievement Medal, two Army Achievement Medals, two Marine Corps Good Conduct Medals, and a Combat Action Ribbon.